I am fascinated by Halloween – not so much by the tradition of dressing up and going Trick-or-Treating but by the commercial aspect of it. I know that may sound odd, but every year I am surprised by how many Halloween-themed products exist. When I think I have seen it all, I come across a product that I would have never thought needed to be “re-themed” for Halloween. 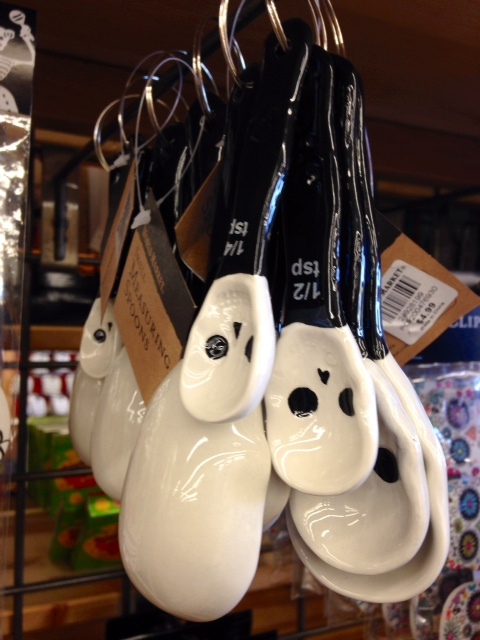 The best example is the skull measuring spoons currently on sale at World Market. 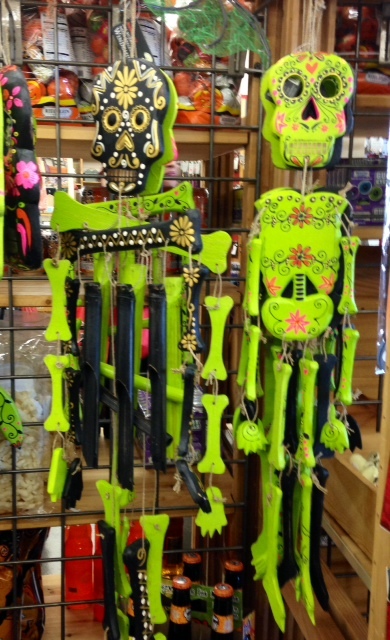 I do not buy the items, but I love browsing the stores. After Halloween, serious decorators need to prepare for Thanksgiving and then Christmas and New Year’s – where do all these decorations get stored?? Even though I love the decorations, I am not a fan of Halloween. 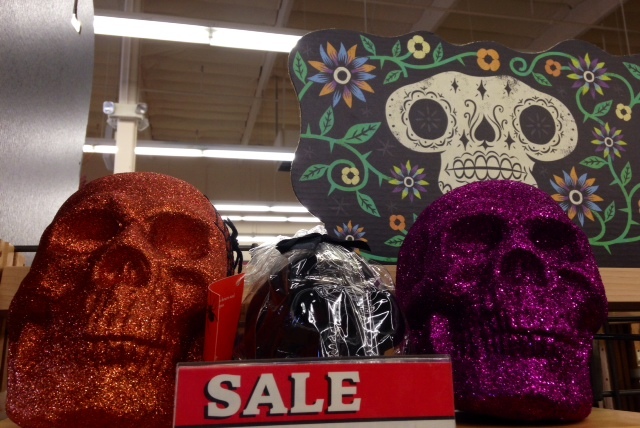 I thought I would become excited once I was in the U.S. and everyone else was celebrating Halloween. It did not work that way. I do not get the point of sending kids to other people’s houses to basically beg and threaten; yes, the phrase “trick or treat” is a thinly veiled threat if we boil it down – “give me a treat or I will play a trick on you.” Presumably, most kids do not even think about what they are saying, and I have never heard of any tricks being played on those who do not provide candy, but it does not change the meaning of the words. 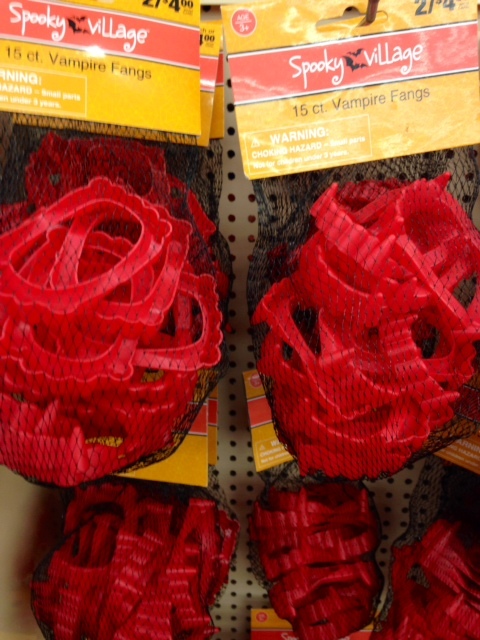 Bags of Vampire Fangs in Stores for Halloween – Who Needs 15 Fangs Though? My rant most likely seems odd to most Americans, and I think my attitude has much to do with my lack of childhood memories about this holiday. So often I hear Americans tell nostalgic stories about their first Halloween memories; I do not experience any nostalgia, and I guess I can theoretically understand the attraction of the holiday but never really “get it.” Surprisingly, Halloween has also become popular in Austria; even though there is no tradition of Halloween in Austria, American movies and T.V. shows have featured Halloween so often and in such enticing ways that Austrian kids have started to copy trick-or-treating to the surprise and bafflement of many who open doors on that evening.